If you're a regular reader of my blog, then you'll know I love a good bargain. I also love clothes & bags, especially the expensive kind - but my bank balance definitely disagrees with this. Luckily for me (and you guys) designer retailer, Psyche, have started a huuuge sale today - full of designer brands - and are also offering an extra 10% off everything in that sale with their secret code... Psyche, who stock thousands of designer brands - Hugo Boss, Armani Jeans, Ralph Lauren and many, many more - are based up north in Middesborough but also have an eCommerce website which ships worldwide. I don't actually know how I've never heard of these guys before as they were runner up to Harrods in the Department Store of the Year awards 2012 and are even rated higher than Harvey Nicks, Leeds and Selfridges, Birmingham in the Vogue Top 100 Best British Shops! 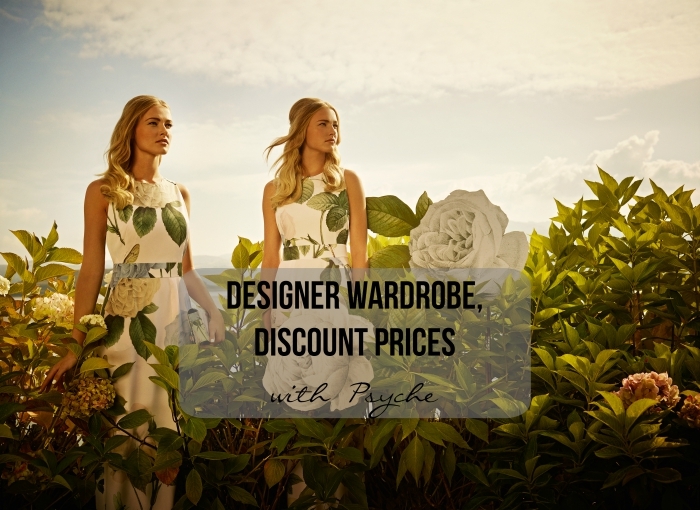 Psyche's huge sale featuring the likes of Hugo Boss, Ted Baker and loads more, is kicking off today and they're also very generously offering an additional 10% discount off all of their sale items. So this is the perfect excuse to treat yourself to that designer bag you've been lusting after, right? To get the discount, all you need to do is visit www.psyche.co.uk on a mobile device and the discount code will appear in the homepage. The code will run from the 1st - 31st August but will only appear on mobile devices and is just available on sale items. I don't know about you, but a pair of Birkenstocks and a Ted Baker bag are definitely at the top of my list! My boyfriend is also a huge fan of Ralph Lauren polo's so I'm hoping I'll be able to scout out one of those out too. Will you be treating yourself? My First Car & Tips For New Drivers!